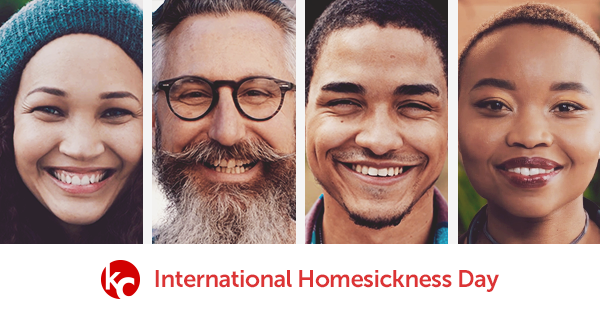 Get the best Welcome Offer to celebrate International Homesickness Day! Everyone moving abroad can experience homesickness. That’s why KeepCalling created International Homesickness Day in 2016, to celebrate this natural feeling of missing home. Expats worldwide know what we’re talking about. Still, there are so many reasons to be happy and thankful on this day. You’re lucky to have people to care about and miss. And here are also some wonderful gifts from us, so you can have longer conversations with them. Great offer for new comers and big surprises for existing customers! New customers on KeepCalling.com get 20% DISCOUNT for any Voice Credit or Monthly Plan order. Expats from all around the world can benefit from this Welcome Offer. The discount rules will apply at checkout. This offers lasts until September 27, 23:59(EST). Also, existing customers can enjoy surprises, announced via Newsletter (if you subscribe here) and Facebook. And here’s one of our favourite quotes about the topic. How do YOU feel about it? My father says you remember the smell of your country no matter where you are, but only recognize it when you’re far away. (Aglaja Veteranyi, Why the Child Is Cooking in the Polenta).